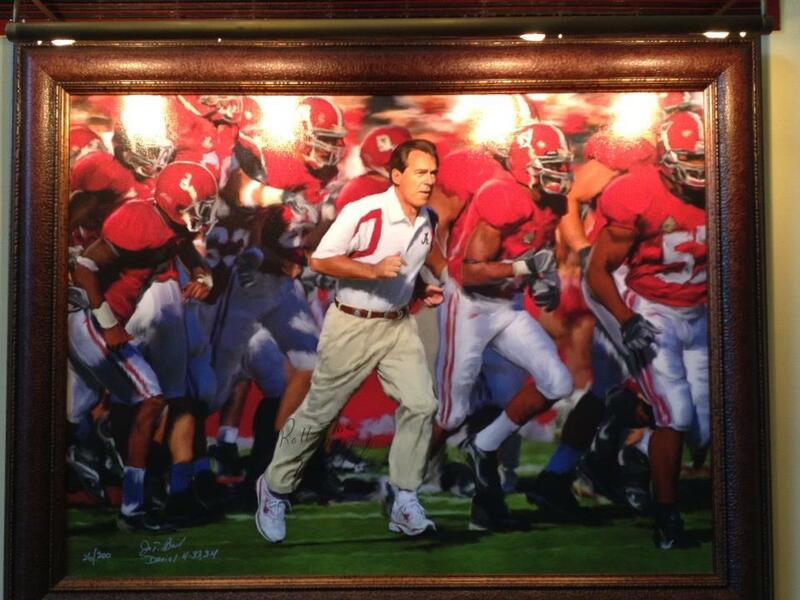 1) Alabama hired a new Athletic Director. Mal Moore resigned due to health concerns, but they moved quickly to replace a man who's had a part in 10 Alabama football national championships. 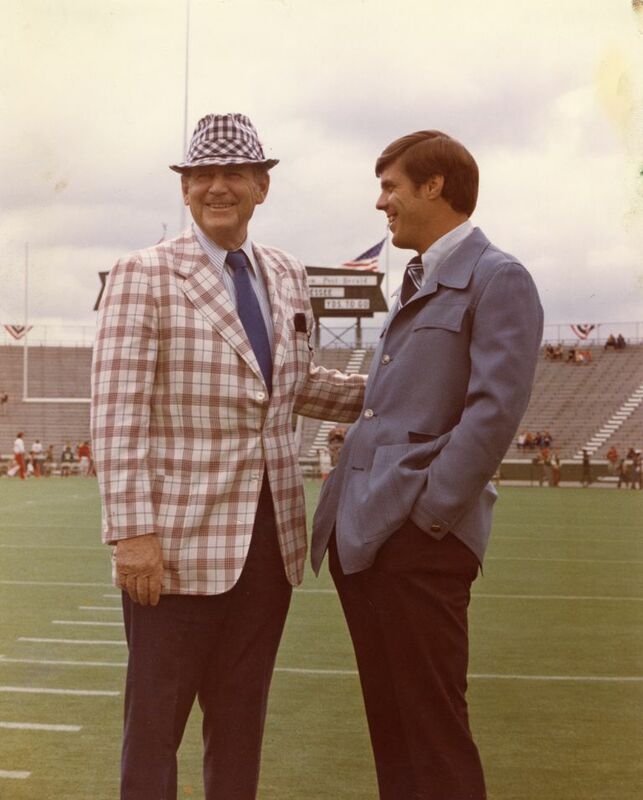 They hired Bill Battle, who once played for Bear Bryant and later coached Tennessee. His first game on the job as AD was our Saturday game vs Stanford. 2) Five. It never disappoints. Between the din of a lively bar & grill, and the (limited) gourmet menu, it is one of the top dinner joints in the SEC. Too bad we never stay anywhere near downtown. 3. Too bad we never stay anywhere near downtown (didn't I just say that?). The Yellowhammer Inn was a castle in the hinterlands. It's more of a hunting and golfing retreat with very little to remind you of Alabama football - except for the huge oil painting of Nick Saban in the lobby. 4. The NIT Quarterfinal game between Alabama and Maryland was one of the most dramatic games of the season, with Alabama falling 58-57 after Trevor Lacey's shot at the buzzer didn't go. More importantly it was a good telecast with some entertaining storylines. Did you know that Bear Bryant's first job as a college head coach was at Maryland? If you don't have another game for 8 months, that's a good one to go out on. 5. Superior Cuts. When you've been scrambling around on the road for a week and the sides of your head looks like a ChiaPet, it's probably a good idea to get tightened-up. So I returned from lunch hour 12 bucks and about a tenth of a pound lighter. I looked and felt better, but nobody on the crew noticed. It was a quality African-American barbershop experience. They told me the Alabama hoops coach Anthony Grant and his family get their hair cut there as well. So that's it Tuscaloosa. See you in September when it will be much warmer (it was really cold all week) and it will be a zoo. The NIT might be just the right speed for me there, just cruising like a Victory Lap.